Amazon this week announced its latest data analytics product, one aimed at scouring unstructured data within electronic medical records (EMRs) to offer up insights that physicians can use to better treat patients. Amazon's new Comprehend Medical AWS cloud service is a natural-language processing engine that purports to be able to read physician notes, patient prescriptions, audio interview transcripts, and pathology and radiology reports – and use machine learning algorithms to spit out relevant medical information to healthcare providers. Amazon's Comprehend Medical software service is one of 13 new machine learning software products the company announced on Tuesday. From unstructured records, or records that aren't in a structured database format, Comprehend Medical can extract patient medical conditions, anatomy, medications, protected health information (PHI), tests, treatments and procedures and then put them in an easy-to-read, spreadsheet-like format, according to Amazon. Just eight years ago, only 10% of hospitals used even basic EMRs, instead relying on paper records. The 2009 Health Information Technology for Economic and Clinical Health (HITECH) Act, however, pushed healthcare facilities to adopt EMRs, withholding Medicare and Medicaid incentives if they did not. Today, 80% of hospitals and physician practices use EMRs, which has created a large universe of electronic patient data to be mined for valuable information. The Fred Hutchinson Cancer Research Center in Seattle has used Amazon's Comprehend Medical in a number of pilot studies for the past year and the results, it said, have been fast and accurate. Comprehend Medical is a cancer research center that identifies patients for clinical trials who may benefit from specific cancer therapies. Fred Hutch, as it's known locally, was able to evaluate millions of clinical notes to extract and index medical conditions, medications, and choice of cancer therapeutic options, reducing the time to process each document from hours to seconds. "It's still early and it's not been used for clinical trials yet, but it does have the capability of making the cohort selection process much faster," Tom Kim, a spokesperson for the Fred Hutchinson Cancer Research Center, said via email. 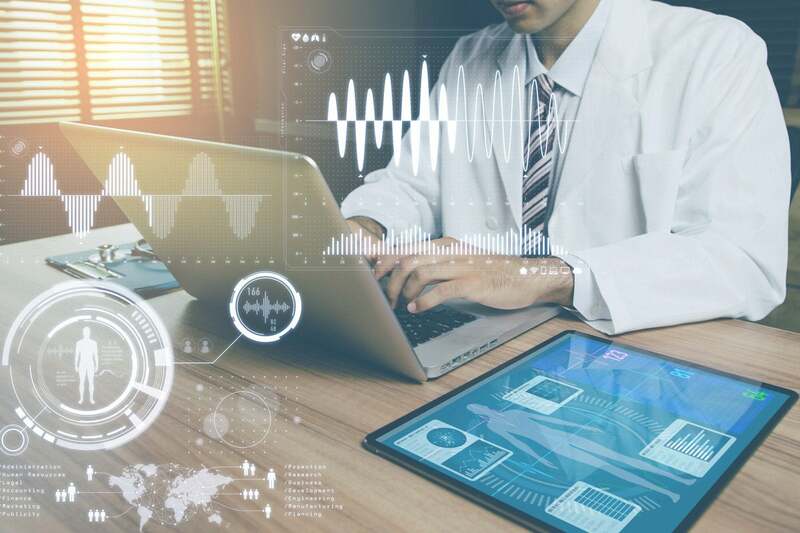 The process of developing clinical trials and connecting them with the right patients requires research teams to sift through and label mountains of unstructured clinical record data, according to Kim. Amazon Comprehend Medical will reduce that time burden "and allows researchers and data teams to turn their attention to more interesting analytics," Kim added. Ultimately, the richness of information culled from patient records and other sources could one day help consumers manage their own health, including medication management, proactive scheduling of care visits, and the ability to make informed decisions about their health and eligibility, Amazon said in a blog post. Amazon is part of a flurry of large tech companies entering the healthcare arena with services of their own, including Apple, Google, Microsoft and IBM, whose Watson supercomputer's natural language processing engine is offered as a service to pull key data points from unstructured healthcare data and published research. IBM Watson Health Cognitive Services, however, actually uses artificial intelligence to generate hypotheses, recommend patient treatments to physicians or match patients to clinical trials. 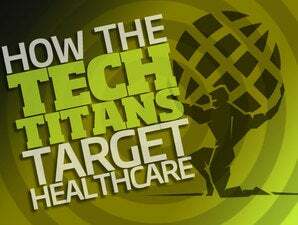 In recent months, IBM Watson – and particularly Watson for Oncology – has been criticized as not meeting expectations. "[It's] hard to say who will make the most progress given their unique strengths, but I wouldn't say that just because Watson struggled means that others won't succeed," said Dr. Julia Adler-Milstein, director of the Center for Clinical Informatics and Improvement Research at the University of California, San Francisco. Cynthia Burghard, a research director at IDC Health Insights, said while Amazon's Comprehend Medical service is like Watson Health in that its natural language processing ingests unstructured data, it does not use machine learning to suggest patient treatments or perform clinical trial matching. "I think their value proposition is taking all your unstructured data, making sense of it and giving it back so you can use your own machine learning against it," Burghard said. While many technology companies have tried, however, there hasn't been a lot of success using unstructured clinical data to come up with valuable care insights, Burghard said. Another concern Burghard said she has is the notion of tech firms gathering millions of patient records for their own or third-party use, and if Amazon's service is yet one more player in the ongoing "data wars" – the objective of which is to claim industry dominance of medical information. "I don't know if AWS is retaining the data for other use, but there's a lot of activity out there and concern that the Amazons, Googles and Apples of this world will eventually have access to all that data," Burghard said. Last year, for example, an academic study on a partnership between Google's DeepMind A.I engine and the U.K.'s National Health Service (NHS) found "inexcusable" errors involving the transfer of identifiable patient records across networks without explicit patient consent for the purpose of developing a clinical alert app for kidney injury. An Amazon spokesperson said its Amazon Web Service, the cloud over which data is transferred, does not collect or store any data processed by Comprehend Medical. And once analysis is complete, the output is delivered solely back to the customer. Data is also encrypted and the keys are held by the medical institutions providing it. "Finally, no customer data is used to train or improve the machine learning models under the hood of Comprehend Medical," the spokesperson said via email. Additionally, the healthcare industry has developed "very good approaches" to anonymize patient data by removing personally identifiable information (PII), according to Adler-Milstein. While, "not perfect," the possibility of re-identifying patients from anonymized data is far less risky than EHR systems' vulnerability to hacking, she said. This story, "Amazon launches patient data-mining service to assist docs" was originally published by Computerworld.